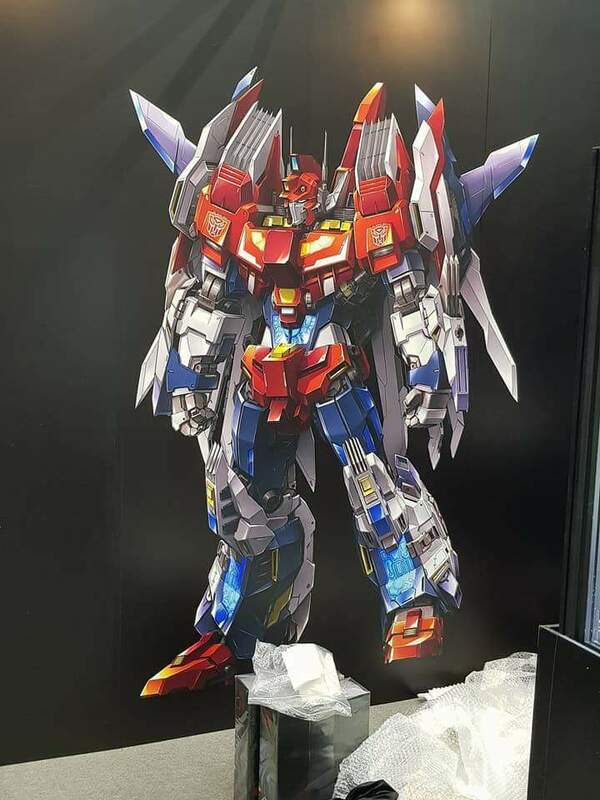 Thanks to Ben Lai on Facebook and our sponsor Robotkingdom we have our first images of the impressive Flame Toys-03 Star Saber Prototype. 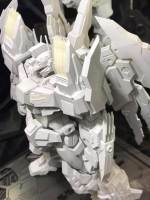 Flame Toys brings us a highly detailed prototype of their IDW Star Saber. Similar to their previous and impressive figures of Drift (available) and Tarn (prototype only) this is an officially licensed non-transformable figure but with an incredible level of detail, articulation and gimmicks. 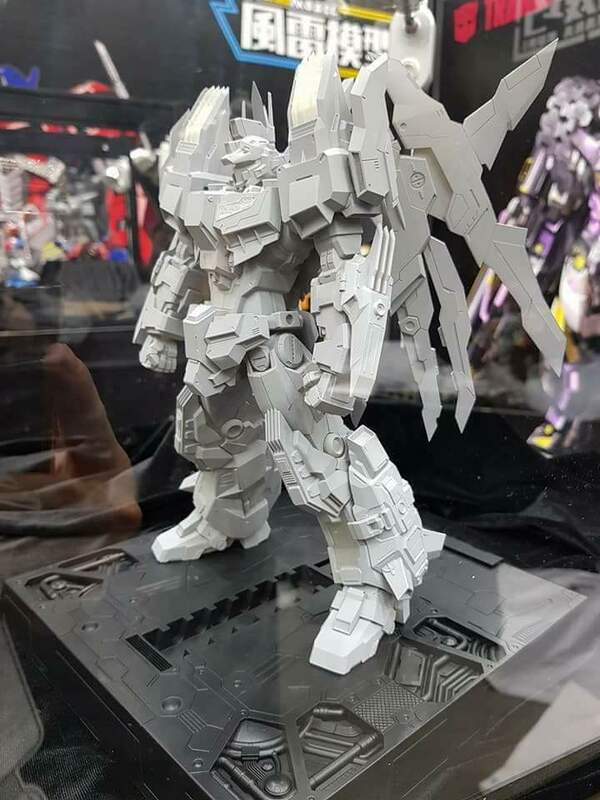 The images come from the Hong Kong Toysoul convention but there’s no information on price or release date yet. Be sure to come back for more information once it’s available. You can check the mirrored images after the jump and then let us know your impressions at the 2005 Boards! That only holds true for Sky Lynx. The Brawl mold was repainted into Nosecone, and both Air Raid and Skydive were made with the Thrust and Starscream heads in mind. If they wanted to stick true to their “own” characters, and make a repaint combiner, they would have used the unused Hoist head for Trailbreaker, the unused Ratchet head for First Aid, Bluestreak from Prowl, and two other easy repaints of popular characters. 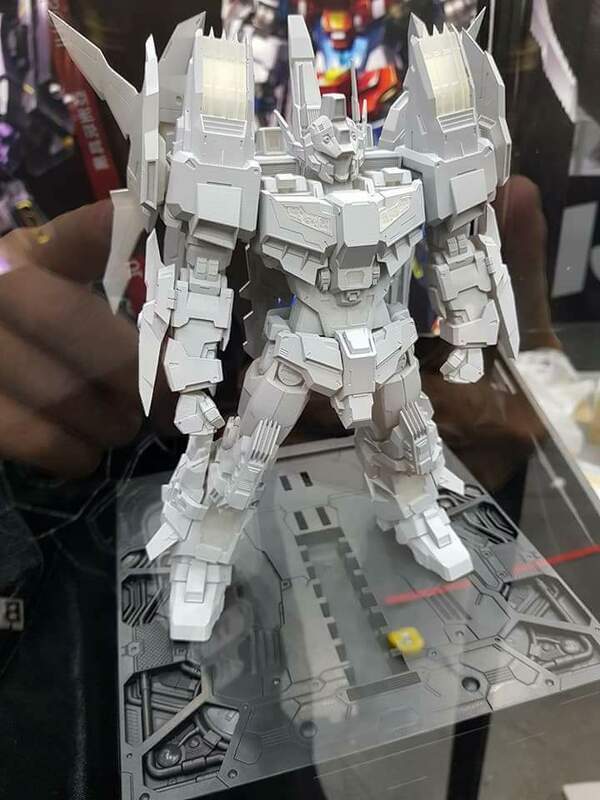 Like their own repaint of Nemesis Prime using the Toxitron head, which it was original designed for, or a Sideswipe from Breakdown or Tracks from Wheeljack. Maybe even the new member of the Technobots that was supposed be a Rook repaint using a Brawl head. 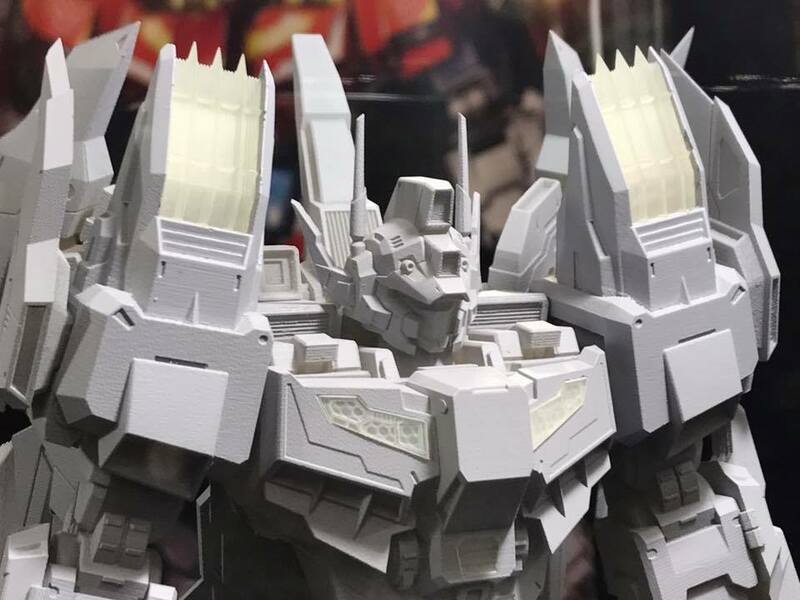 Instead, we got Liokaiser with four new headsculpts. I’ll give you that. He certainely is a fan favorite. and Black Shadow was just the only phase sixer left out. I would use the arguement that he has gotten a Hasbro toy before, because his only appearence in IDW outside of flashbacks or namedrops was when he got murdered by the DJD. 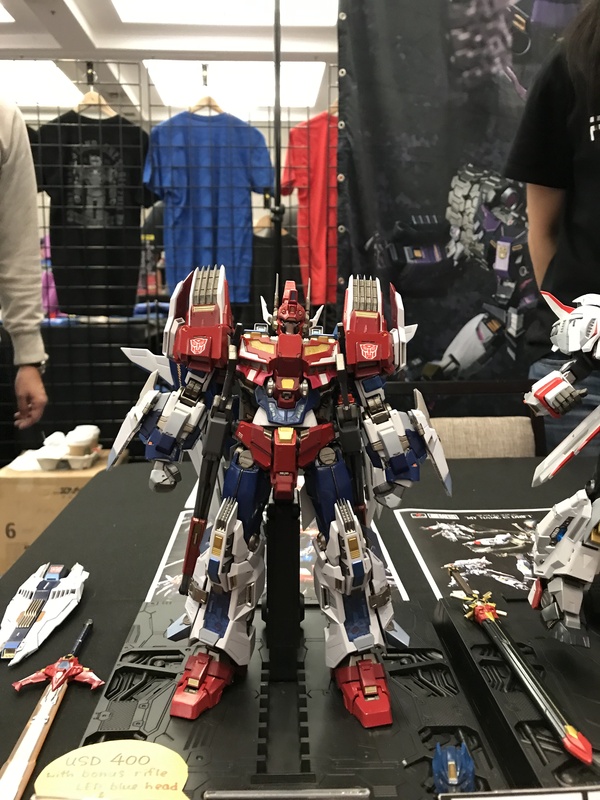 Like CW Liokaiser, TR Sky Shadow, Overlord, and Metalhawk who also had a POTP toy? Lets not forget that both Star Saber AND Deathsaurus also were in the POTP poll, too, and the design is very aware of them. Liokaiser was because of Hasbro's "must have repaint potential" policy, Overlord was because of his comic relevance (and had also been released by Hasbro in Europe and APAC back in the day) and Black Shadow was just the only phase sixer left out. I think Hasbro wants to focus on the characters they created. But only the g1 ones. Saw this at TFCon. It's cool but I personally wouldn't spend 400 on it. Tarn on the other hand looks glorious. I'll probably spring for the reissue if there's one. Also people waiting for the Drift reissue should be glad to know that it's shipping end of this month. Heard it from the horse's mouth i.e. 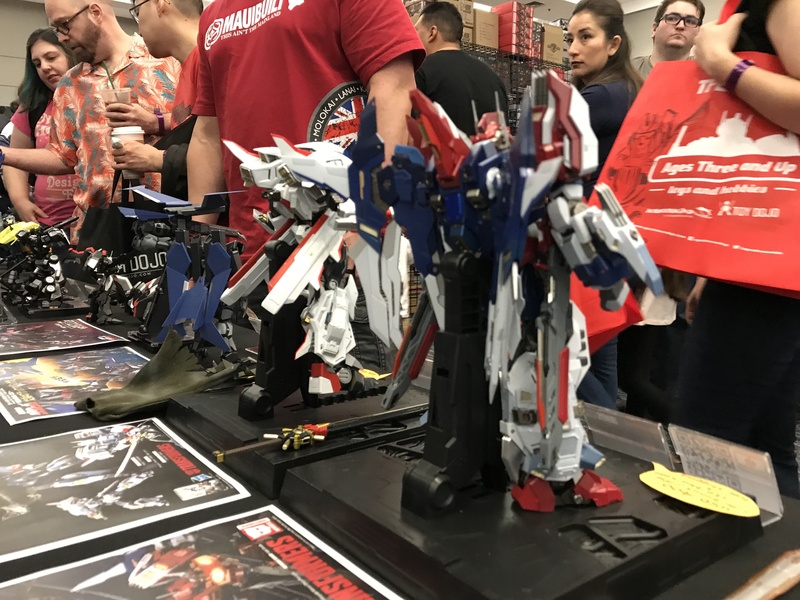 Flame Toys actually had a booth at the show. 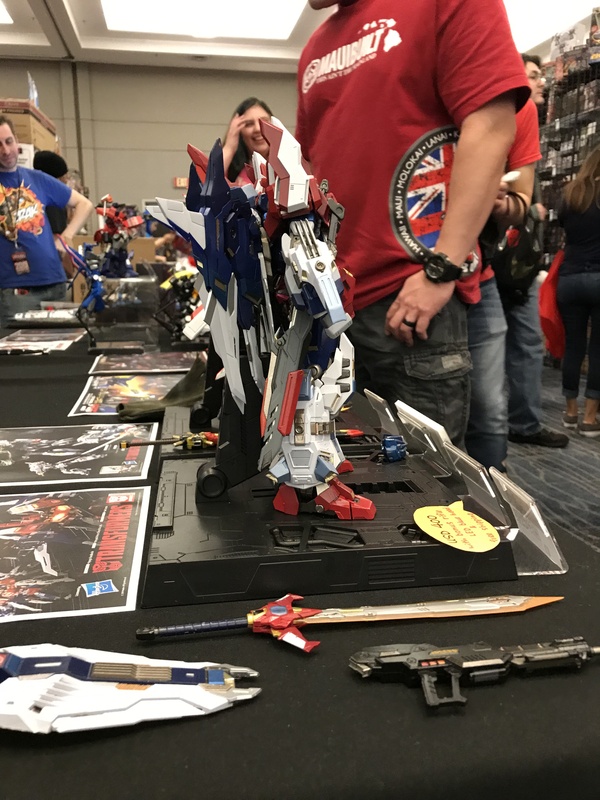 We literally have a $400 Star Saber. It wouldn’t be made by Flame Toys or approved by Hasbro if neither though it would sell. So there is no excuse why we haven’t gotten a CHUG figure yet. He's gorgeous! But not for that price. Pics from the Flametoys/blue fin booth from TF CON LA. You don’t. 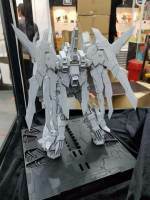 They’re using D4Toys for those parts. Uhm he is smaller than I thought compared to Tarn. This should be seeker size or slightly smaller, right? He looks badass for a……. It's actually a great redesign of the character. Especially the fact that they have fixed the one glaring problem with his Victory Saber form: as every fan of Japanese Super Robots knows – – the lion's head goes on the chest. Silly Takara. It's just not worth $400 for one half of that badass combination. Even if Leo is only $300, that's a brand new laptop. That's a month's mortgage and utilities. 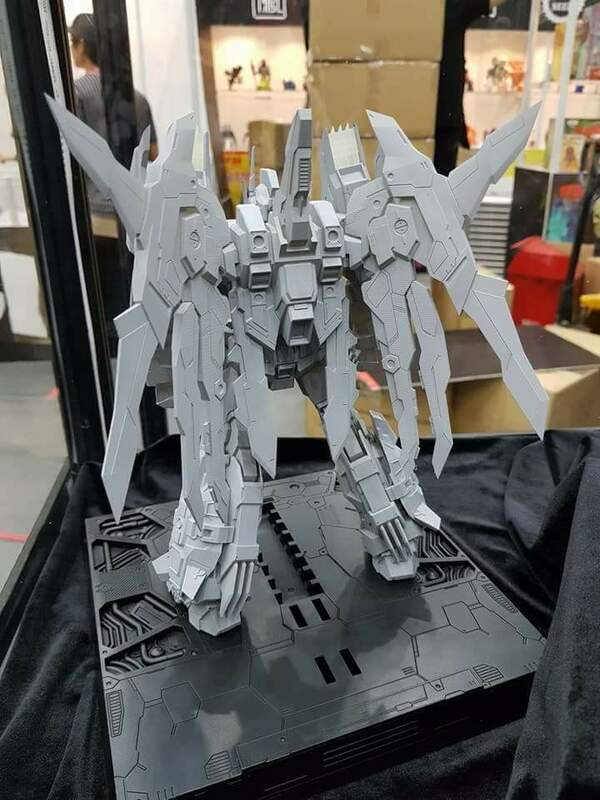 If they make a model of this for $50 a shot I'm there. I don't give a rat's trap about IDW's stories, but Milne did a nice job with this rework. That said, I'd love to see Don Figueroa's take on this sort of Brave Gundam Hero design. 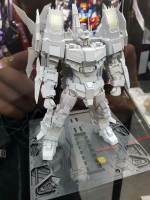 I really hope their 04 Optimus Prime is gonna be closer to Drift's price (Prime is smaller than Tarn right?). Getting two $400-ish Primes in such a short timespan would be…a bit much. Yeah nuh-huh my interest just died so I'm sticking with Planet X's Kadmos. What happened to the preorder discounts? $450 for this is a no-go for me no matter how pretty it is. Whelp…..Planet X here I come. And what about open your mind to new things?! But yeah, that sounds crazy! Maybe someone should chastice you on not having any desire to spend $400 of your hard earned money on a random toy that you have no interest in. Crazy thought: it's just a toy. You don't have to like everything on store shelves. .
Primus forbid that someone wants to spend their hard earned money on their own personal preferences and not yours.